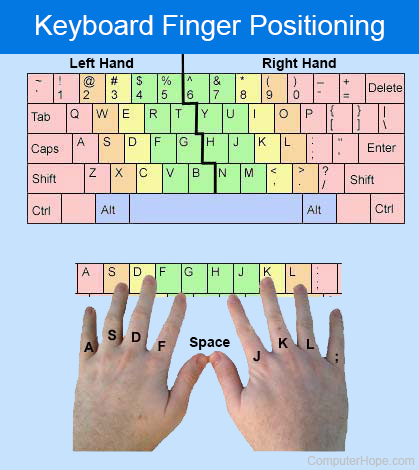 Do you look at your keyboard while typing? I don't, I look at the words being typed. I thought everyone typed like this but apparently a lot of people look at their keyboard while typing and then check what they typed. Which one are you? Thank you for the MHO! :D as a way to show my gratitude, I typed this message without looking at my computer screen at all while writing this. Hopefully I didn't make any typos, although I honestly doubt I did, I can kinda tell when I press a wrong key. Who knows if I got the 100% accuracy that I was planning on getting. Backtracking is hard, though. What kind of nightwear do you wear when going to bed? White on white yay or nay? What's your height gagers? Is Nicki Minaj attractive? What Is something you appreciate about yourself, Personality or body? Generally touch type, but I've recently been changing laptop fairly frequently and have yet to addjust to the new keyboard, so I am kind of glancing at the keyboard every now and then. never. I never even look at touchscreen while I type. . I use autocorrect by the way :p.
it's awesome, once you place fingers correctly, then it's no big deal. if you follow any typing software, you will know that 95% people use keyboard wrongly. Most of the time. I can type fast and tell when I spelled something wrong. I see nothing bad or embarrassing about looking at the keyboard while typing. Sometimes I spell a word wrong more than once so I'm like wtf and stare at each key while I type. Basically a mixture of both. I usually look at the words being typed unless I need to put parenthesis and I need to use the shift keys (or something similar to that), then I'll look at my keyboard. Not really. Only when I am starting the sentence, to press the first letter. After that, I'm good to go. but some people never look at punctuation marks :p.
use swiftkey app. it's best keyboard app :p. it has better keyboard (customizable). at least put a full stop :p.
Better to not look even if you're more innacurate, accuracy will build up over time. No, not anymore. Voted B.
Nope I learned typing without watching keyboard. Nope. I know where the keys are our of habit. Mines is a mixture of both. Why be insecure? Not everyone can “love themself” This is How Beauty Standards Differ Around the World Relationship Advice Everyone Needs To Know! To all those women that are never approached by men: Do you think we are the problem? Home > Fashion & Beauty > Do you look at your keyboard while typing?